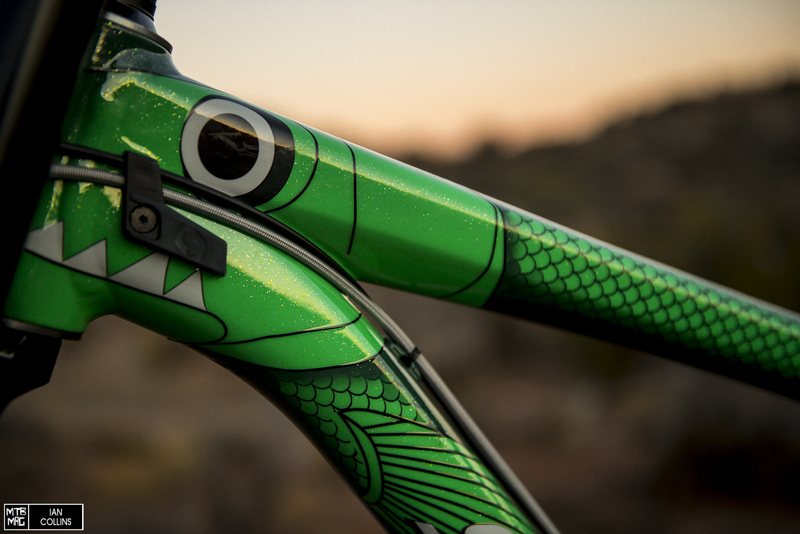 Many Rampage bikes see fully custom paint jobs, and while they are all certainly works of art, some arguably draw ones eye more than others, and Vincent Tupin’s Scott Gambler is one of those bikes. 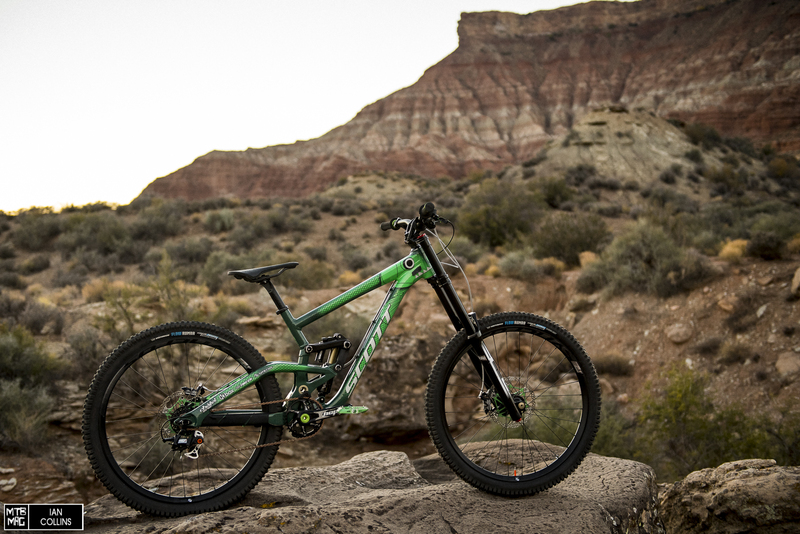 We checked it out in detail in Virgin, Utah, so scroll down for some drool worthy glamour shots. 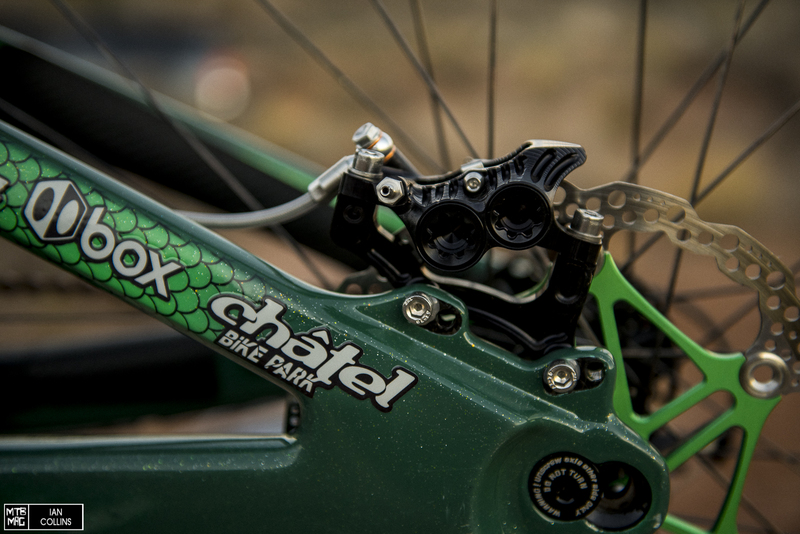 Vinny T runs BOS Suspension front and rear, and only a small top chain guide. 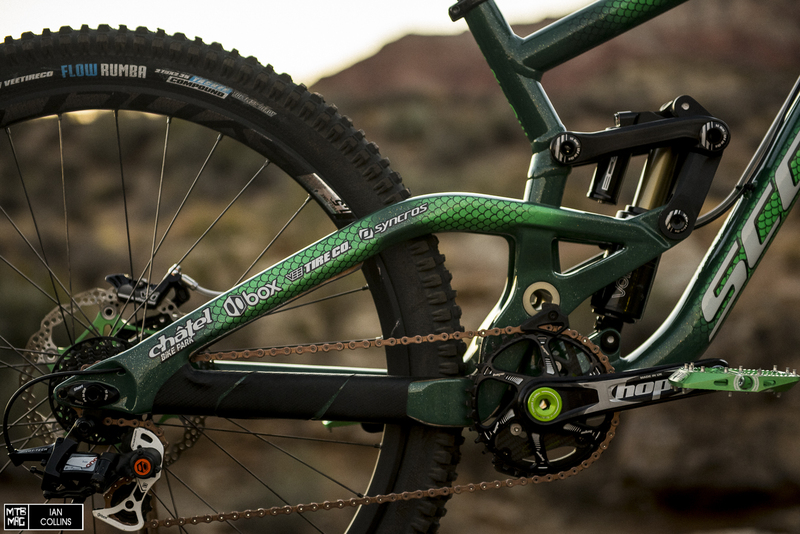 Hope Cranks, and Vee tires on Vinny’s Gambler. 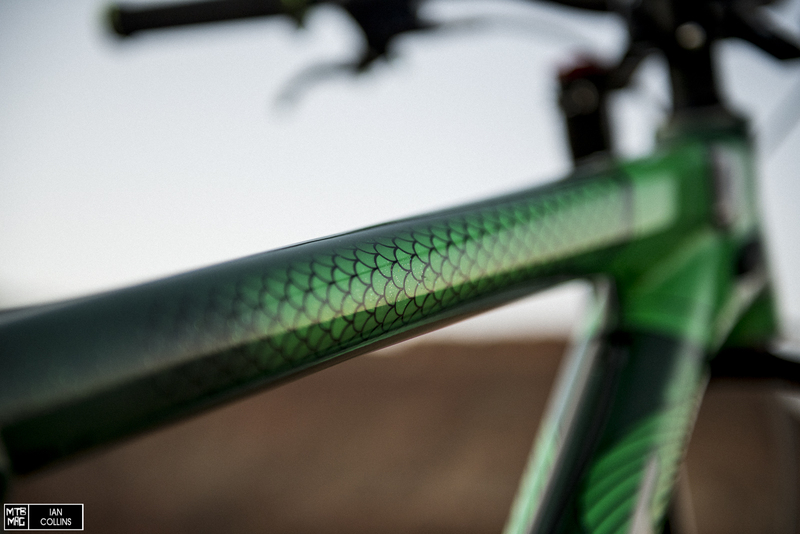 A perfect color combo, the bike really seems to shine. 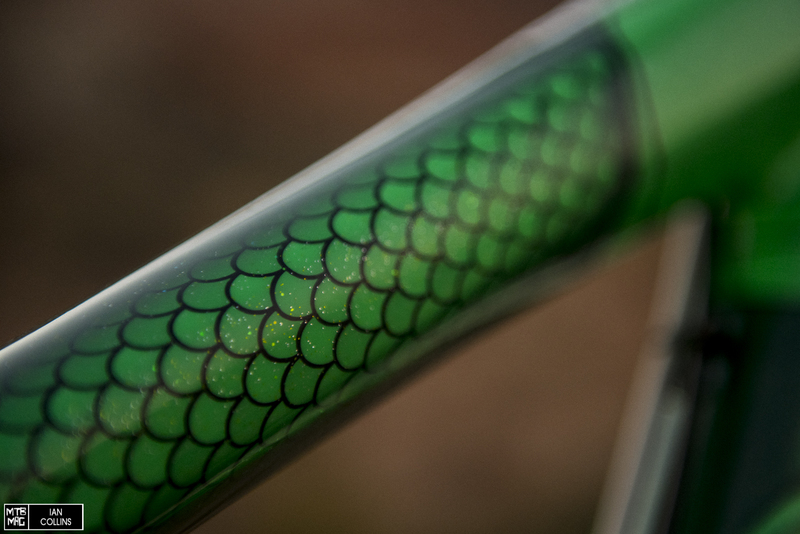 Some subtle sparkle below the clear coat. 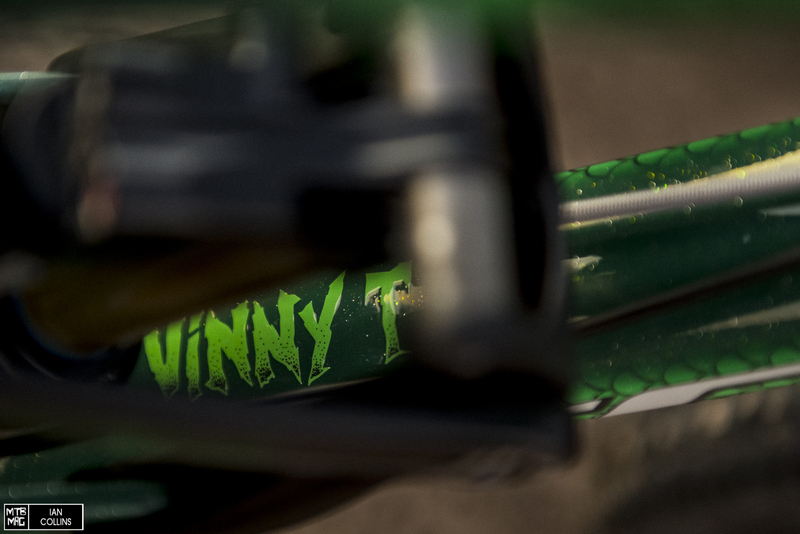 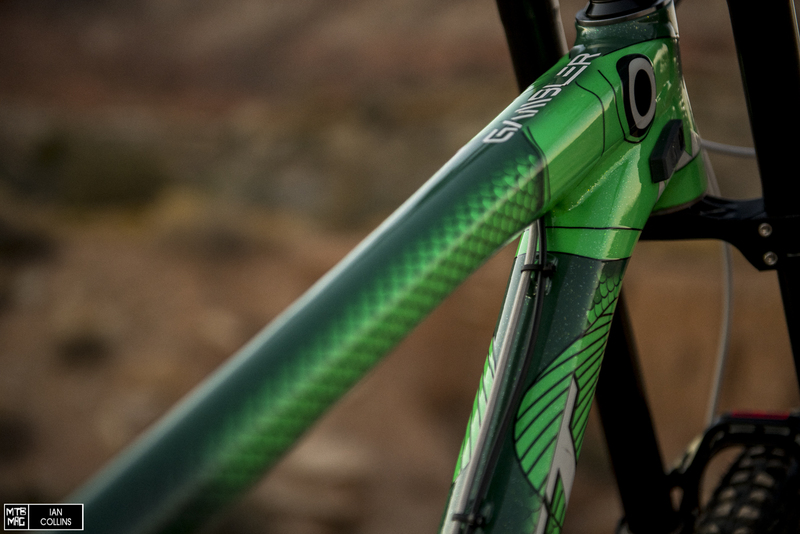 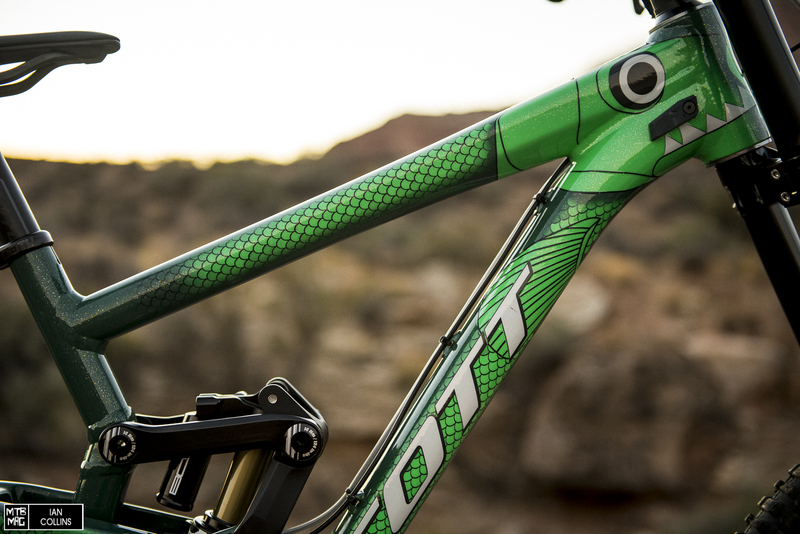 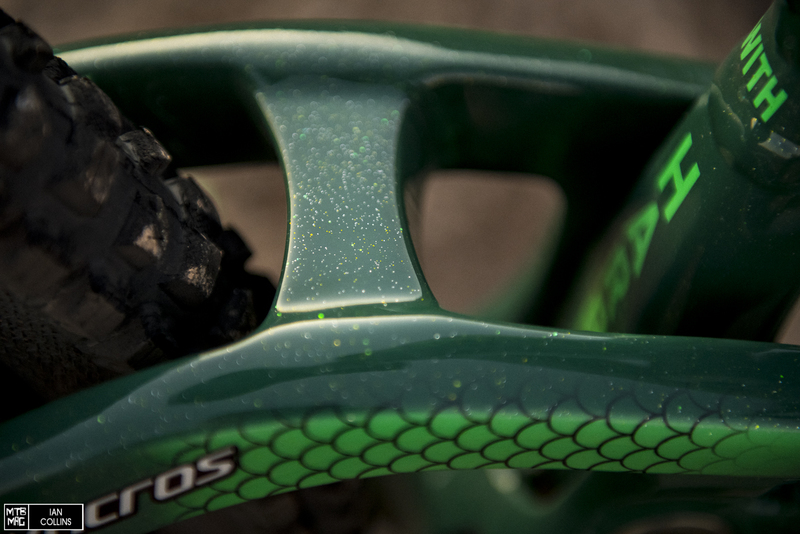 When you’re one of the elite free riders in Rampage, you can count on your name being painted on your bike. 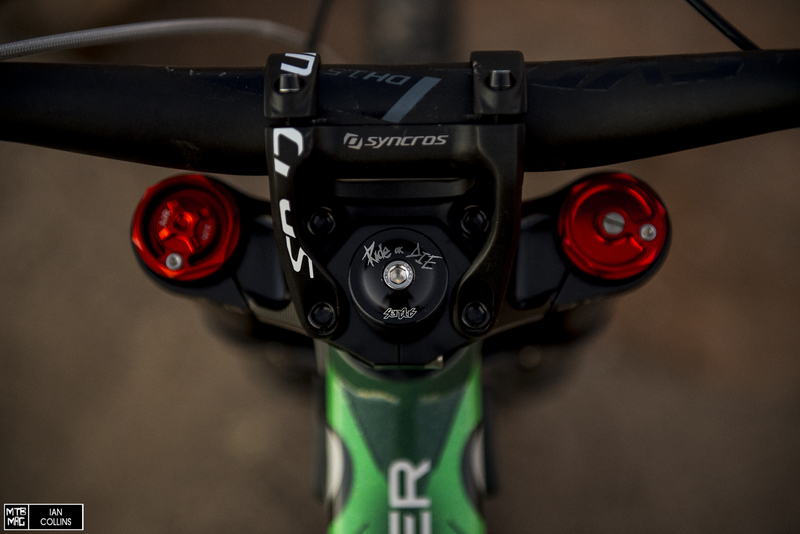 A Syncros cockpit, and Sensus Swazye Grips. 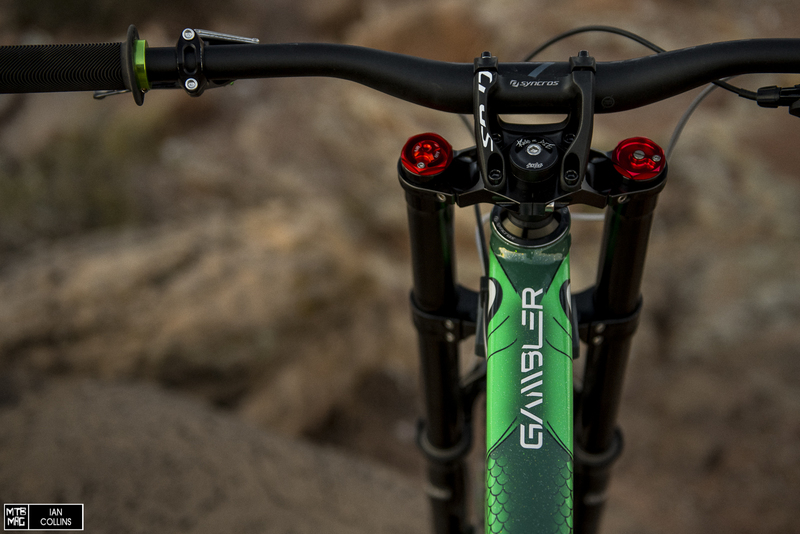 Ride or Die… enough said. 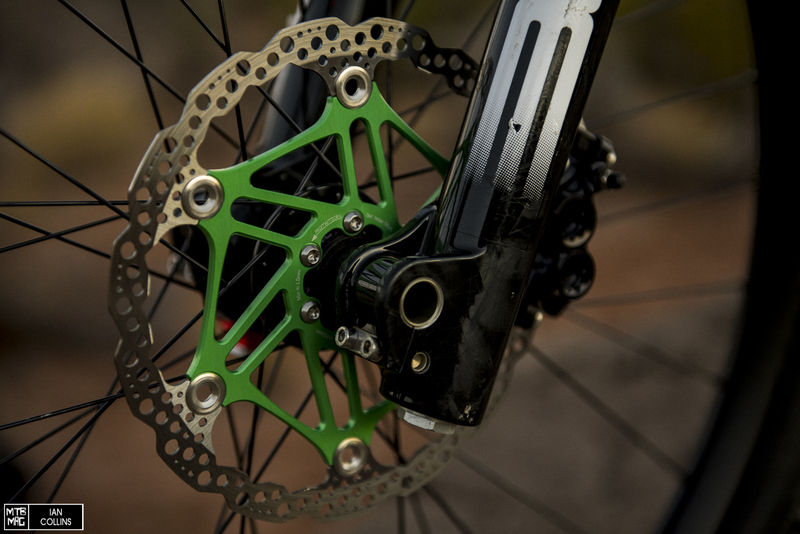 and equally matched anodized rotors. 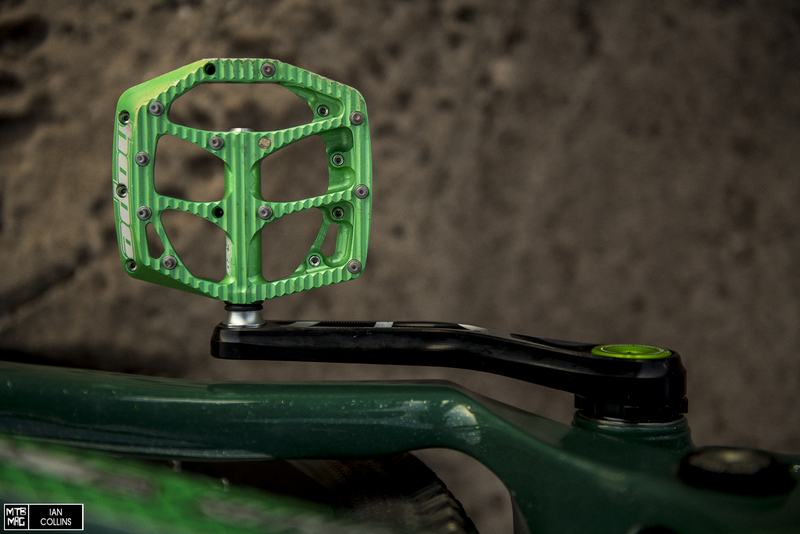 Oh and pedals too, leave it to Hope to take the crown for custom ano parts. 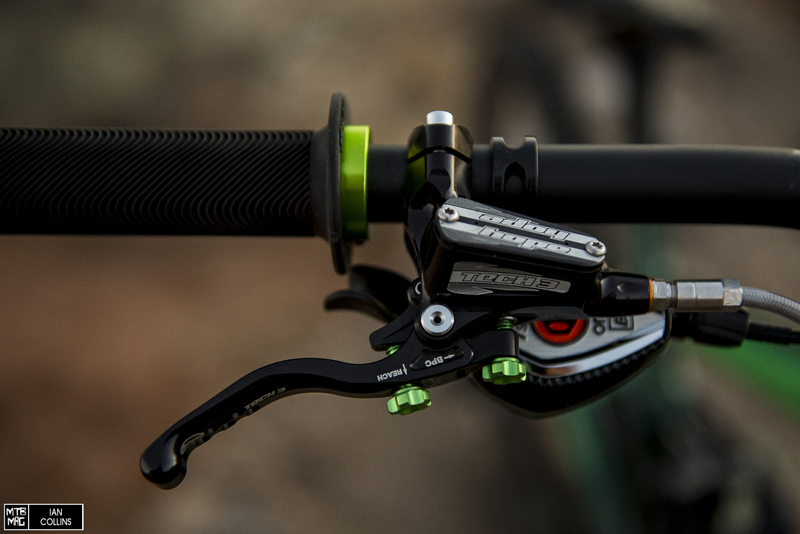 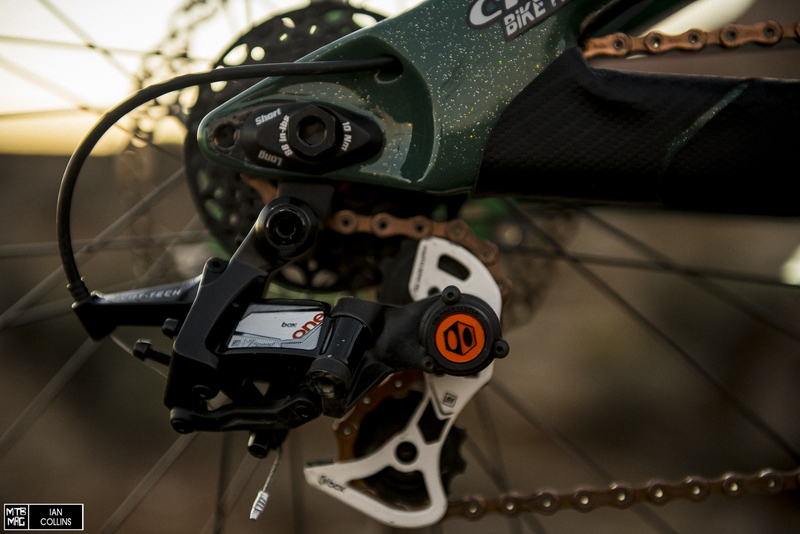 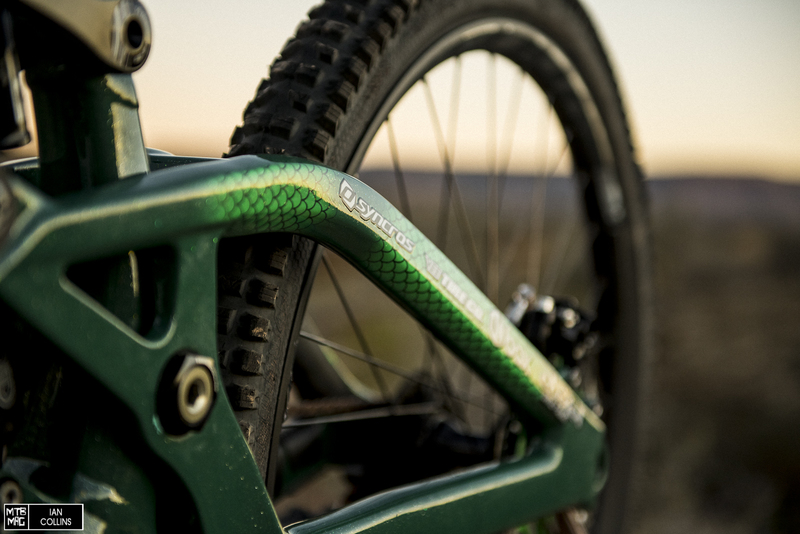 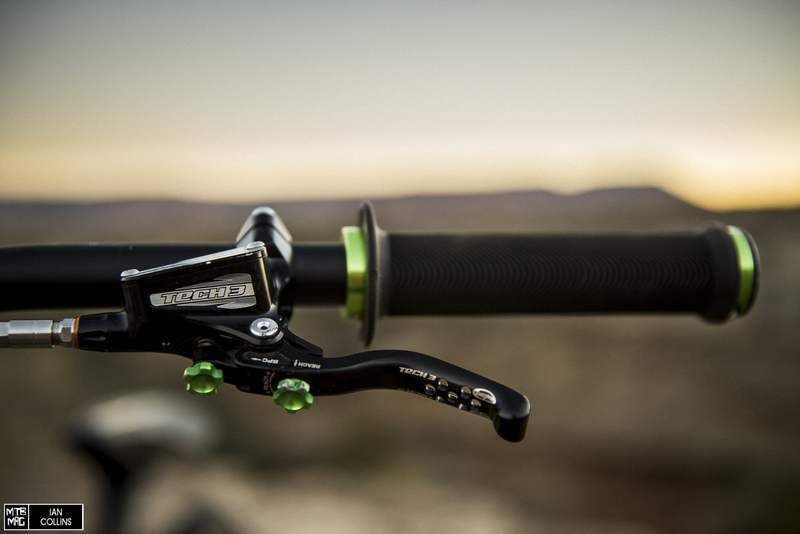 The short cage DH derailleur from Box looks pretty sweet!